We are mourning the sudden loss of our friend and colleague Tom Kuebler. 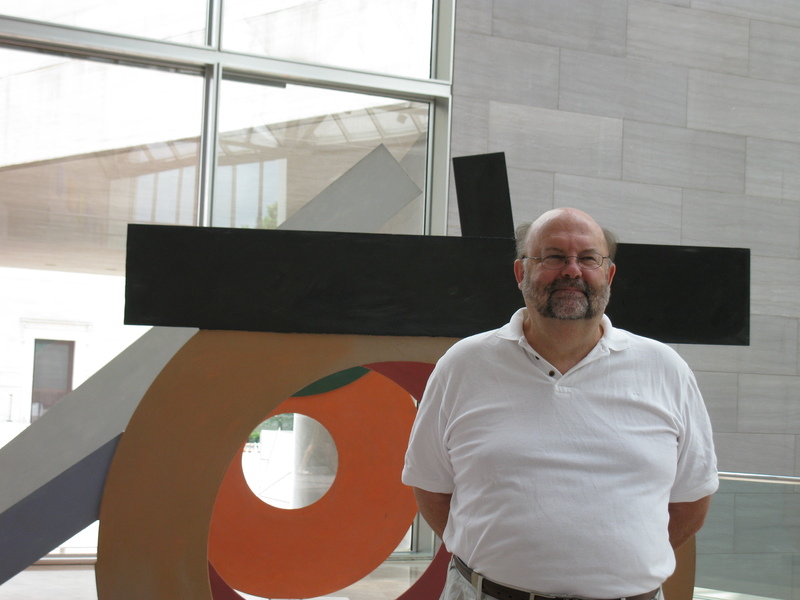 Tom was instrumental in getting the James Russell retrospective at the Indiana State Museum. Tom was a great friend and always offered his support and encouragement on whatever Satch and I were working. This site by his daughter, Caroline, has great photographs and remembrances of Tom. Below is a very short video from Kewanna, Indiana where Tom (seated in a blue shirt), Wade, Satch and Ron are discussing James Russell’s work with regard to Finnegan’s Wake and, at the very beginning, perch. Thank you so much for your post on my dad. I really enjoyed seeing the video from his trip to Kewanna. My dad always talked about working on this project on James Russell and I’m now learning more about it through reading his writings and now through this blog.